Alabama is an exceptional football team — a juggernaut with one of the best defenses in the recent history of college football and offensive weapons that are nearly impossible to match. But Saturday, in a slug-it-out College Football Playoff showdown with Washington, Alabama’s biggest weakness — perhaps the only thing that can possibly stop the Tide from winning the National Championship on Jan. 9 — was exposed. Alabama’s passing game sure didn’t look National Championship worthy Saturday. 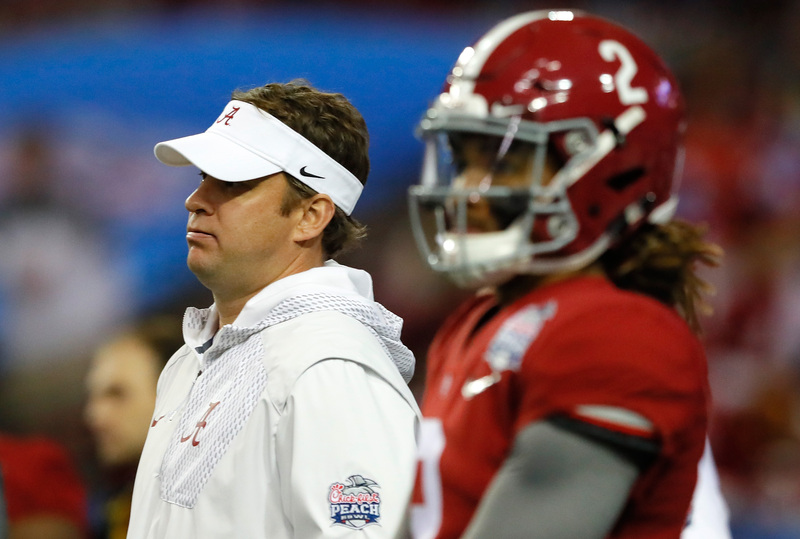 It didn’t matter against the Huskies, but Alabama quarterback Jalen Hurts is going to have to play a lot better and offensive coordinator Lane Kiffin is going to have to call a much better game in Tampa on Jan. 9. Alabama’s passing game was non-existent on Saturday — Hurts went 7-for-14 for 57 yards against the Huskies. That has to do with Washington’s elite secondary, but Hurts’ inability to execute under pass-rush pressure (an issue that has existed all season) was on full display in the Peach Bowl and will certainly be tested again in the title game. Hurts’ poor performance wasn’t a major issue on Saturday in the Tide’s 24-7 win because running back Bo Scarbrough had a two-touchdown, 180-yard game, and Alabama’s defense only let the Washington offense cross midfield twice.